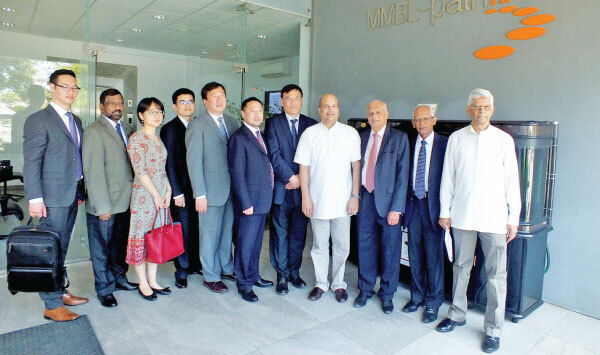 A senior delegation from the China Institutes of Contemporary International Relations (CICIR) led by Dr Fu Mengzi, Vice President, visited the Pathfinder Foundation Office at “Riverpoint” to continue the bilateral cooperation dialogue between the two institutions. The CICIR is a leading policy research institute in China and consists of 11 institutes and two research divisions employing over 400 staff including 150 Professors. The visit took place as a part of the framework set out in the Memorandum of Understanding that was signed between the two organizations in April 2016.The delegation met with Pathfinder Foundation Founder Milinda Moragoda and other senior officials to discuss the future work program that will seek to build on the success of the Pathfinder / CICIR joint publication. “The Island of the Lion and the Land of the Dragon” that was published last year to commemorate 60 years of diplomatic relations between China and Sri Lanka. In addition, the two sides discussed the possibility of setting up a joint China - Sri Lanka Study Group to identify critical success factors that would have to be put into place to take the economic, investment and trade relationship between the two countries to the next level.